TAIPEI, Taiwan (AP) — "An Elephant Sitting Still" won the top prize Saturday night at the Golden Horse Awards, the Chinese-language version of the Oscars. The film, whose director, Hu Bo, committed suicide before its release, upset the highly touted martial-arts epic "Shadow," by veteran director Zhang Yimou. 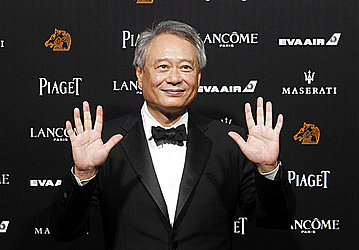 Zhang won best director for "Shadow." Judges were led by Gong Li, the leading actress in many of Zhang's earlier films, who was invited by Ang Lee, director of Hollywood features including "Brokeback Mountain." "Shadow," which delves into Chinese martial arts and palace intrigue, led with 12 nominations. Taiwanese stage actress Hsieh Ying-xuan won best actress for her role in "Dear Ex," which explores the relationship between a gay man and his lover after his death. Best actor was won by China's Xu Zheng for his work in "Dying to Survive."